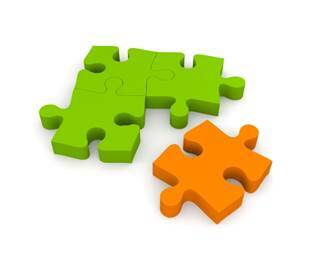 A merger or acquisition can be a great way to grow your business. Joining forces or purchasing another company increases your market share and potential profits. There’s no real way to know if the venture will pay off. However, the proper due diligence can provide reassurance that the move you’re making is a good one. Due diligence is a multi-step process, so in this post we’re going to focus on just one part: liabilities. Any merger or acquisition comes with a degree of risk. Liabilities are the debts and obligations incurred through the course of doing business. Loans are considered a liability as are accounts payable and accrued expenses. It’s important to take a look at the total number and dollar value of all liabilities. Also, look at the company’s payment history. Are bills paid on time? Is there a record of default? These are red flags that should give you pause. Remember, once you’ve assumed liabilities the responsibility is yours. An unrecorded liability is exactly as it sounds. This type of liability won’t show up on any records or accounting statements. Before you call off your merger or acquisition, understand that unrecorded liabilities are normal. A common example is vacation time. Let’s say an employee rolls over vacation time and, come retirement, hasn’t used it all. He or she will be owed money in exchange for the hours. This can be a substantial cost if enough employees have banked their hours. The best way to find out about a company’s unrecorded liabilities is to ask the right questions and request the relevant documents, or you can hire an experienced attorney. Due diligence is a critical component of any merger or acquisition. Failure to do your homework can have dire financial consequences.